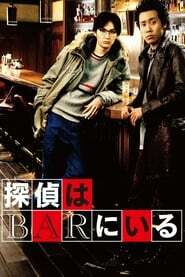 In the Susukino red light district of Sapporo, a private detective (Yo Oizumi) drinks alcohol with his driver Takada (Ryuhei Matsuda) in his favourite bar. There he receives a phone call from a woman who identifies herself as Kyoko Kondo. The woman asks the detective to complete a simple task. The detective, having an excellent sense for danger, thinks the work is easy and accepts the case. The next day he begins the investigation. Production Studio : Asahi Broadcasting Corporation, Hokkaido Shinbun Press, Kinoshita Komuten, tv asahi, Toei Video Company, Ltd., Toei Company, Ltd.